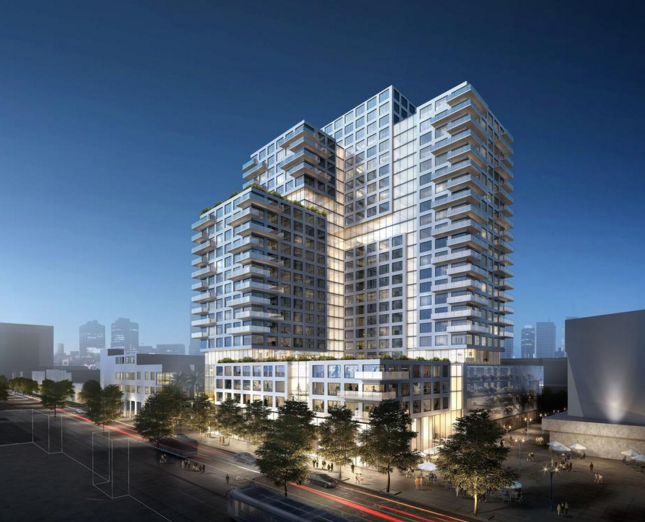 The San Jose Blog: Sobrato Planning Downtown San Jose Residential High-rise! Sobrato Planning Downtown San Jose Residential High-rise! Another week, another tower! 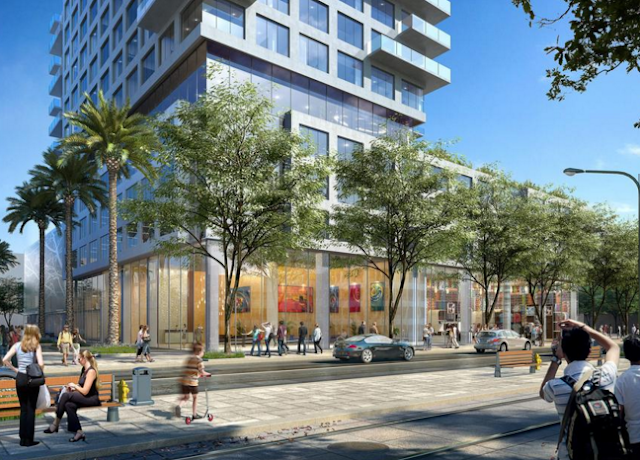 The latest proposal for Downtown San Jose is a 23-story apartment building with 399 units. This tower would be built right between The 88 and the building formerly known as The Rep. 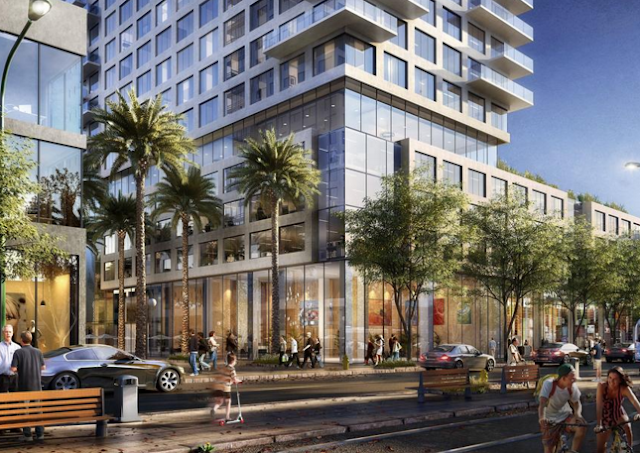 The Sobrato Organization went with a preliminary design by Arquitectonica, a Miami firm known for some radical buildings. This rendering looks a bit subdued compared to other work the design company has done, but it would still be one of the nicest looking buildings in Downtown San Jose. I do really like what they have done with the balconies. Sobrato purchased the land in 2010 and has sat on the property until today. There is still some risk involved that the project will get pushed back until the next economic cycle, but the Sobrato Organization is optimistic it can be built in the near term and they want something that they can be proud of for the building's 100+ year lifespan. In addition to the apartments, there will spaces on the ground floor for restaurants and shops. The building will have two amenity decks, one on the 5th floor and another with a view up on the 17th floor. It will take a few months to get city approvals, but there is no ETA given for breaking ground. I have a feeling the best case scenario will be somewhere in 2017. It's amazing how much Downtown is going to change over the next few years! It's Sobrato, so 99.99% it's not going to happen. We should know the usual "all talk, no show" developers by now, and Sobrato is definitely one of them.